It’s our busiest time of year for seed saving and we are harvesting and processing all of our new seeds. It’s exciting to see the love and attention we have put into growing the soil over the last two years really starting to pay off. Mel, with the help of our tireless gardening apprentices, has been processing 19 varieties of organic heritage tomato seeds almost constantly for two-months now and we have had some beautiful crops. 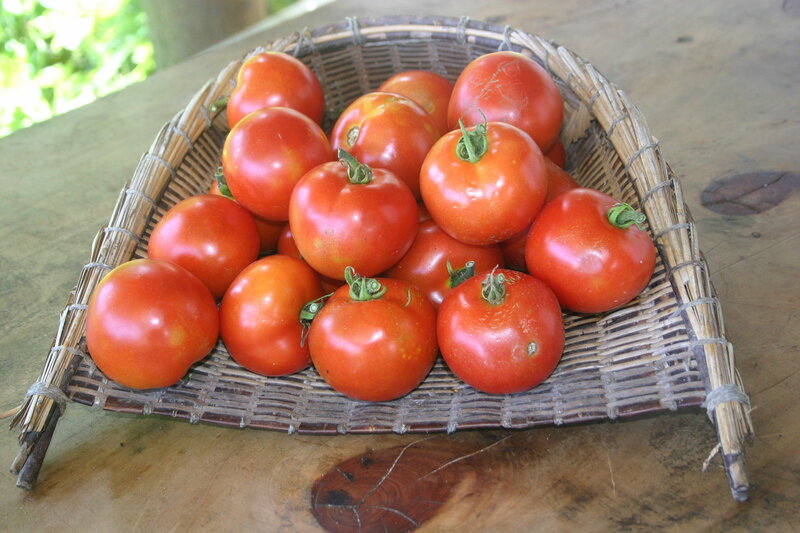 To make sure we are not reproducing weak plants, we first pull out any unhealthy or stunted tomato plants, and choose only good looking and tasting tomatoes to save the seeds from. Processing tomatoes starts with cutting the tops off and squishing the seeds into a jar. This gets left for a couple of days to ferment, helping to separate the tomato pulp and weaker seeds, which float to the top while the strong heavy seeds sink. 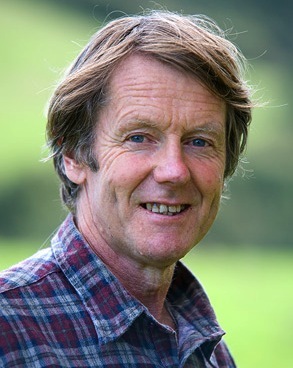 We have taken up the challenge of Jon C Frank in his Seedling Vigor and Superior Seed Quality articles and are determined to improve our seedlines. 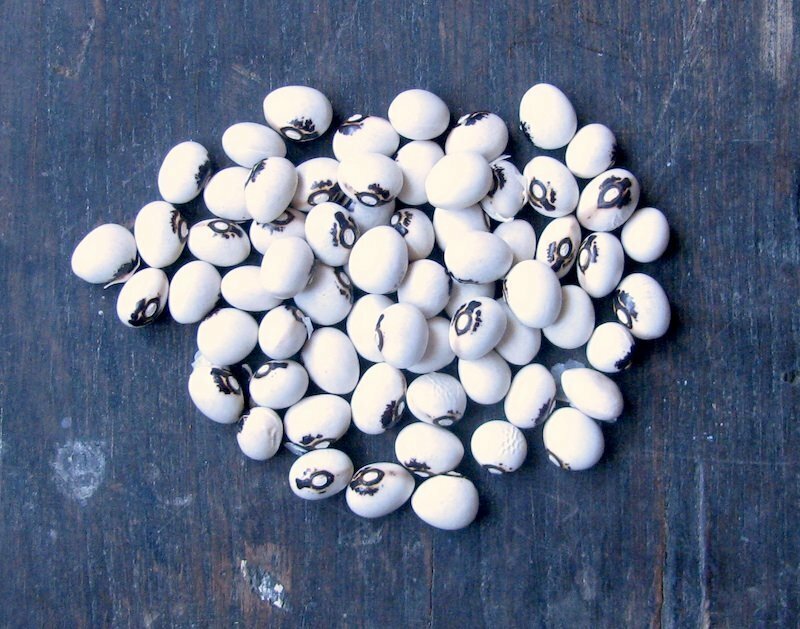 Selecting our seeds for size and weight means only the most vigorous plants are re-grown for seed from our ‘mother seed’ so the plants get stronger and healthier with each generation. After tipping the lighter seeds and other debris off the top, the best seeds get strained onto mesh and go into the dryer for a few days till their moisture content is only 10%. We currently use an electric drier, (with a solar powered one on the ‘to do’ list), but if you’re not drying in commercial quantities you could just dry them in the sun at home. The seeds also go into the freezer for a few days to kill off any bugs and then they are ready for storing in our consistently cool seed room. On Thursday nights we have a seed packing party and from here they start winging their way towards you. 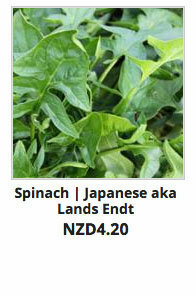 We have also had a massive harvest of perpetual spinach this year which is ready for planting now. 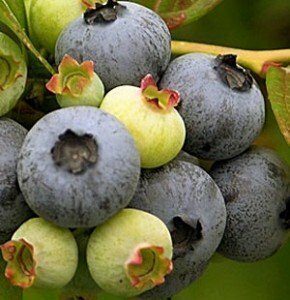 This hardy plant was grown by most of our ancestors and is a great low maintenance year round crop. For Kay’s Tomato, spinach and panir casserole recipe click here. It’s starting to get late to plant things in the garden, so now is the time to make the most of the last of the warmer weather. We have just harvested and processed the purple sprouting broccoli, which was originally grown by the Romans. 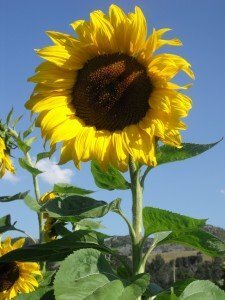 It is still ok to plant now, and in colder climates it will continue sprouting for months rather than just producing one head. The Borecole and Red russian kale are also both fine to plant now. This is the first seed harvest of Borecole from our Wairoa seed garden. We’ve been growing it in our isolation garden, (to prevent cross pollination with other varieties) for over a year and are quite excited to finally be harvesting such a healthy and nutrient dense crop. Bucking the “plant on the shortest day of the year and harvest on the longest” rule, now is a also good time to order our early garlic, Rocombole. Unlike most garlic which goes in in June, Rocombole can be planted in April and May to be ready for mid-November onwards. 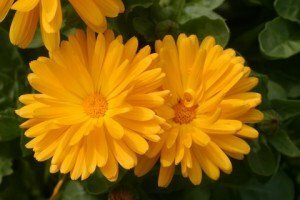 If you’re like us and want flowers for winter, we have some prolific self-seeders: Heartsease and Calendula, available now, which are good companion plants. As a type of pansy, Heartsease represents loving thoughts, while Calendula can mean “my thoughts are with you” or “winning grace” in Victorian flower language. And though it may seem a long way off, if you put sweet peas (meaning shyness) in now, they will be flowering by early Spring, just like this years, crop of seed-saving interns and apprentices. You can substitute any of the summer greens for spinach in this quick and easy dish. Place tomatoes, spinach, panir, seasoning and oil into a bowl and mix well.Place into a baking dish and cover either with breadcrumbs or ground posole, mix well with the grated butter. Bake at 180degC for about 30 minutes or until brown on top. To begin soak six cups of dried corn overnight in water. Pour off the water and put in a pot with 2 cups of bone/shell ash-water, and cover with extra water. Make sure the corn remains covered throughout the cooking process. Simmer for one hour or longer, until the skin can be rubbed off the kernels. Remove from heat and drain. Place in a colander and rub under running water until you have removed as many of the skins as possible. Then put everything into a bowl or bucket and float off the skins. Return to the pot and cover with water. Continue cooking for another hour and repeat the whole de-skinning process until the corn kernels are white, fluffy and skinless. They are now ready to be ground for tortillas, added to soup, or dried. Bring your milk to the boil. Slowly add just enough apple cider vinegar or lemon juice to curdle the milk. (I prefer the taste of lemon juice in panir, but either is good). Next turn heat off and gently stir as little as possible with a wooden spoon until you have a clear yellow why and a mass of panir. If you do not have clear yellow why, add a little more vinegar or lemon juice. Leave the curds in a solid mass, do not break up by stirring. When you are happy your curds and whey have separated as much as possible, put a cloth inside a colander in the kitchen sink and ladle in the curds. Hang your curd-filled cloth up on the kitchen hook and leave to drain. this will happen very fast and not a lot of whey will come out. Leave the curds to cool, than remove from cloth and use or freeze for later. 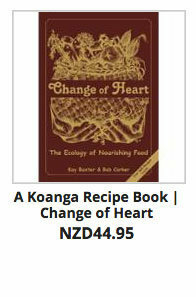 I usually cube the panir and to add to soups or fry and add to veggie dishes. 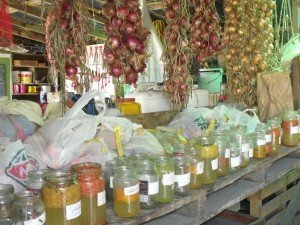 Because the whey has been boiled and will not contain the life raw whey contains, (although it still has many nutrients), I prefer to feed it to the animals rather than use it in the kitchen, but it can add excellent flavour to soups and stews in place of stock. I wonder if this is what it is like to be a first-time parent with a newborn baby?? Suddenly, you are in charge of LIFE, of another being that sort-of plonks, mysterious, into your world, and nine different aunties tell you ten different tales about how to care for this cryptic creature; how to satisfy it’s natural instincts, how to protect it from this mighty mean world, how to know what it wants – and you think, blimey, why did I get knocked-up by curiosity in the first place? And newborn babies don’t come with five thousand venomous bottoms. I have been on the bee-team (which, as it happens, is way cooler than the A-team) for six months, apprenticing myself under the wonderful Christy & Cody Kerr – our favourite Kentucky-fried couple with a bit more than a passion for our fuzzy buzzy friends. My intro to beekeeping was hardly your happy hands-free powerpoint situation – we had everything from laying workers to relentless robbing to varroa infestations – indeed, I look forward to the day when my beekeeping style resembles more that of Pooh-bear off to a picnic than Mad Max in a moon-suit with a semi-smoking canister of twigs and a question-mark floating over my head. I jest, I jest – it is less often lack of confidence with bees that gives me my sometimes underwater feeling than it is my mountain of awe at their nature. They know what’s what – it’s not hard to feel like a fumbling hooligan in the midst of such exquisite architecture and super-social genius. I begin to realise just how important it is to hit the balance between mothering them through all the abuses they are subject to, from pests or humans, and letting them work it out themselves. The bottom line is to build colonies of honeybees that do not rely on drugs or sugar for their survival, like some poor patient on life-support, but are naturally strong and resilient to all the ever-changing environmental pressures in their (that is, our) world. Allow me a quick plug? 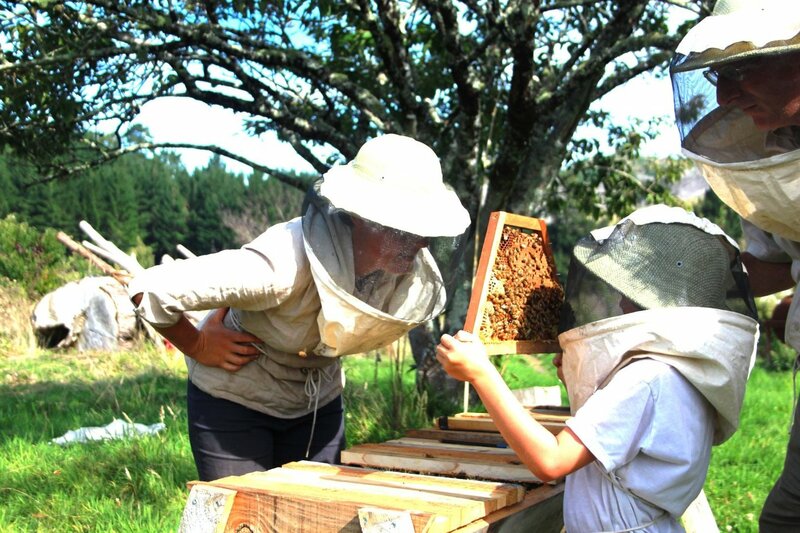 On the weekend of April 19-20 we are holding a top-bar beekeeping workshop in our wee apiary at Koanga. Great chance to get your head around the buzz, and your hands too. It’ll be theory and discussion (and happy powerpoints!) 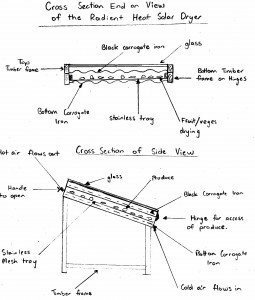 on the basics – colony structure, seasonal hive management, pros and cons of different hive designs, problem-solving etc, along with plenty of time getting into the hives themselves and having a serious nosy around. 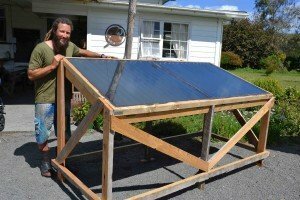 We’ll build a top-bar hive from scratch, monitor some varroa, play with some beeswax, watch a doco or two in the evening, and generally have a rollicking good time, I reckon. My name is Shaked, and this is the opening post for our forest garden/ nursery Koanga blog. Now, if you ask yourself Sha…. what? 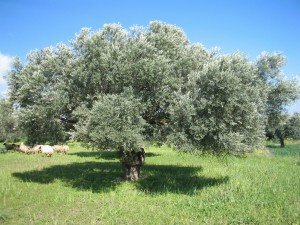 -as many kiwis do, Sha-ked is how its pronounced, and since I’m originally from Israel, Shaked in Hebrew means Almond tree. I was born on a special day in Israel, which, in direct translation means the holiday for the trees. The almond is the first tree to blossom in Israel at this time of the year, and so…. I was born a tree. 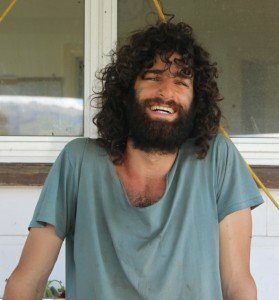 I arrived at Koanga a year-and-a-half-ago, have done my Permaculture Design Coure here, a bio-intensive gardening internship, and have started to work for the institute. 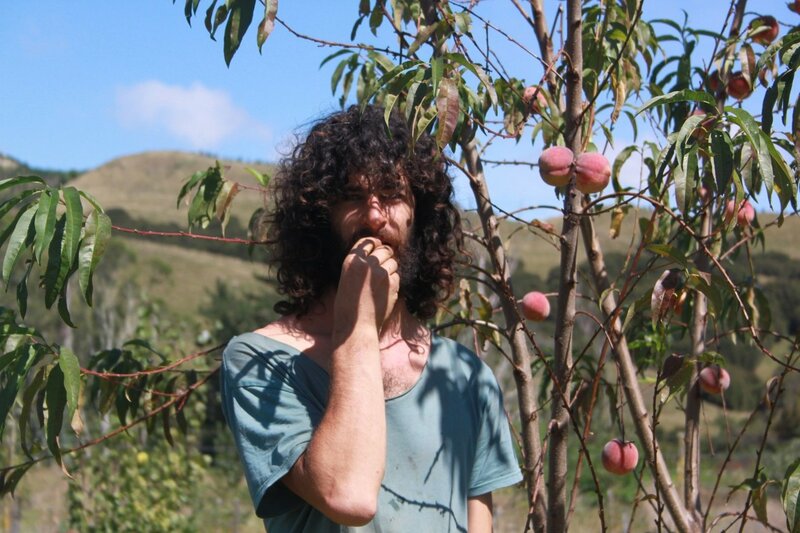 Now I manage our organic heritage fruit tree nursery and our developing forest garden. 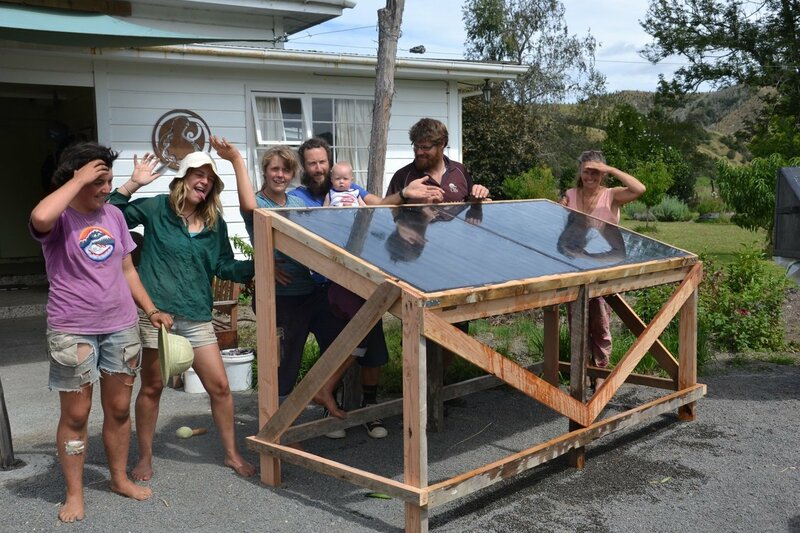 And so, I am so excited to be doing this work and research, to learn and to teach, and now, I am more than happy to share this also on our forest garden blog. So, in order to share what’s going on here, I would like to start with what we are actually trying to achieve. 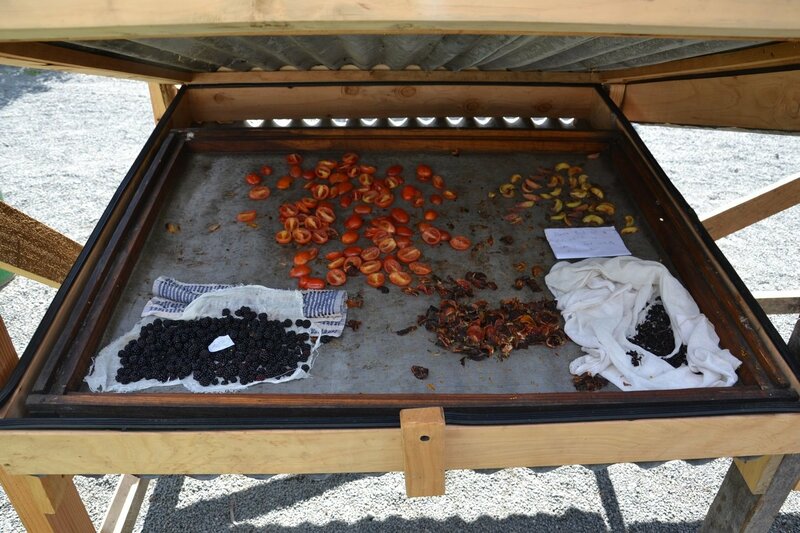 The Koanga Institute, and mostly Kay Baxter, has collected around 200 different heritage varieties of apples, pears, stone fruit, olives, berries, figs, grapes, and more over the last 30-years. 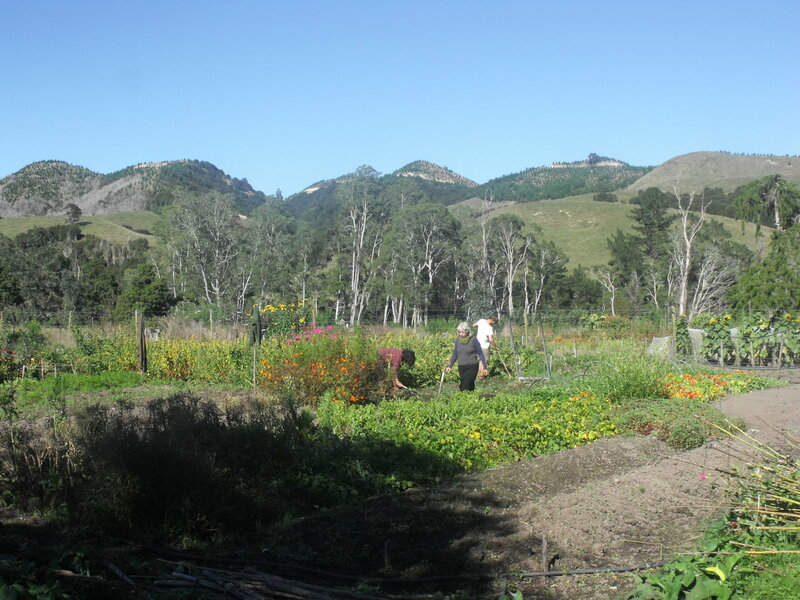 Most of these have been planted here, at the developing Kotare village, outside of Wairoa, in Northern Hawke’s Bay, which is where Koanga Institute moved to three-years-ago. So, what are we actually aiming for? …while of course, taking care of our collection, making it more resilient and less demanding, and making the trees available to everyone. Well, most of our heavy feeders are already planted, some are fruiting, and more will fruit in the next few seasons. And now, we are slowly building the rest of the forest layers. In some of the blocks we have already started establishing the lower trees. As quite a bit of our land has good drainage down to a silt pan 0.5-1.5 m under the top soil and pumice, we needed to find many varieties that could handle wet feet. 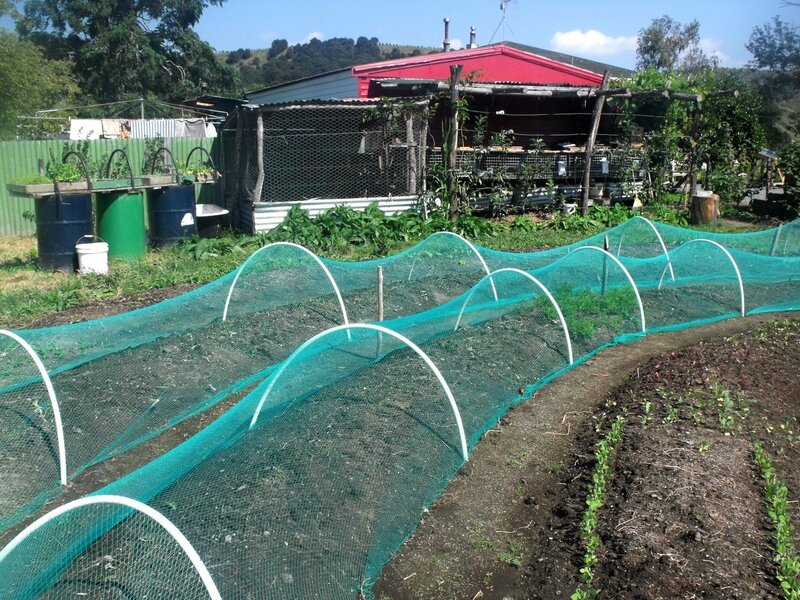 We have planted some tagasaste, siberian pea tree, tree medic, acacia, casuarina, maakia, alder, and more varieties of mainly nitrogen-fixing, poultry-feed trees, that will do well in our climate and drainage/ soil type. 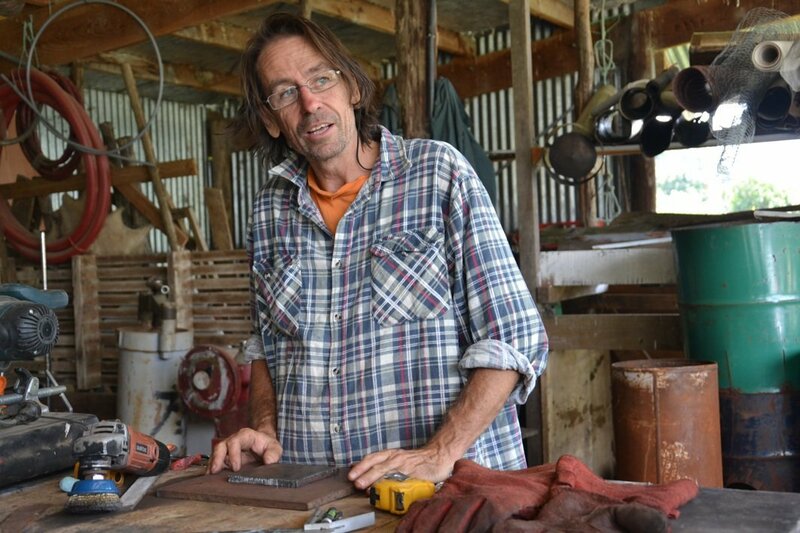 In a couple of weeks we are conducting a forest garden design workshop. This will take everything we’ve learned throughout our experience here as well as Kay’s 30+ years of experience. 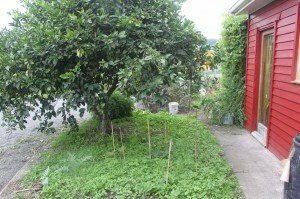 The workshop is aimed to share these experiences so more people understand and start to implement their own forest gardens. My other main focus these days is our nursery. There we grow from seed or cuttings our support trees for the forest garden, mainly propagating from the organic heritage fruit tree collection, making those available for anyone who wishes to be fed with these amazing heritage cultivars of fruit. 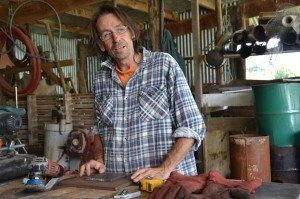 Last month we invited Murray Jones, an experienced nursery man, to share with me a budding lesson. This was great, watching and experiencing a new (for me) technique for propagation. We walked through the forest garden, collected scionwood from the trees to be propagated for the next season, and budded them on rootstocks we propagated last season. This allows us to do most of the propagation now, it’s faster and easier, giving us another opportunity to graft later on whatever didnt take. These budded trees will be on the 2015 Koanga tree catalogue, while the 2014 catalogue has just been published a month ago. It is filled with flavours, ideas and stories. It’s a bit awkward, as most of these trees I am propagating I have never tasted yet, and Kay is my guide for all the “which and how”. Although, the last season was a great start for my heritage fruit tasting. I was waiting for it, and it hasn’t disappointed -even though the peaches were the only ones mature enough to produce fruit yet. It started with Mary’s christmas, Mammie ross, Christina, Four winds, Batley, Green’s special, Mrs. Robinsons, Massie eliot, and Waiatea. Wow!! 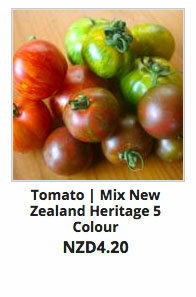 What an awesome variety of timing and flavours, from white flesh to yellow and dark orange, sweet and buttery. 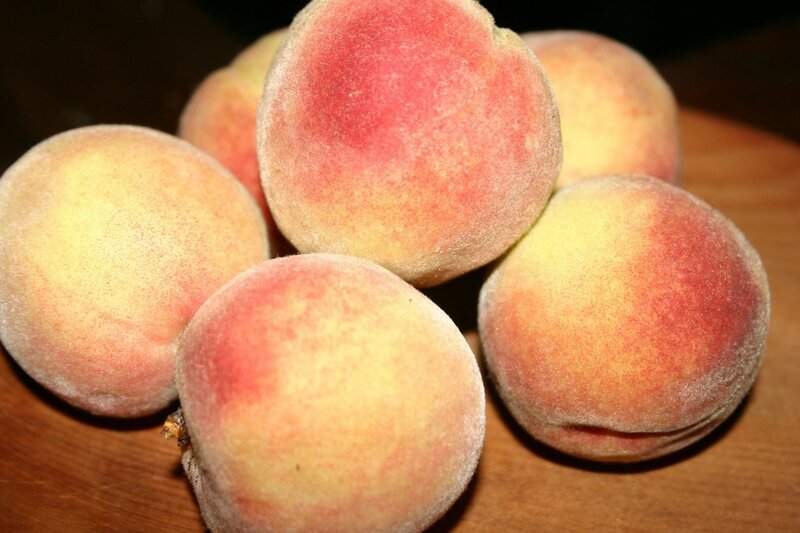 Definitely the best peaches I’ve ever tasted. I really love my duty here! 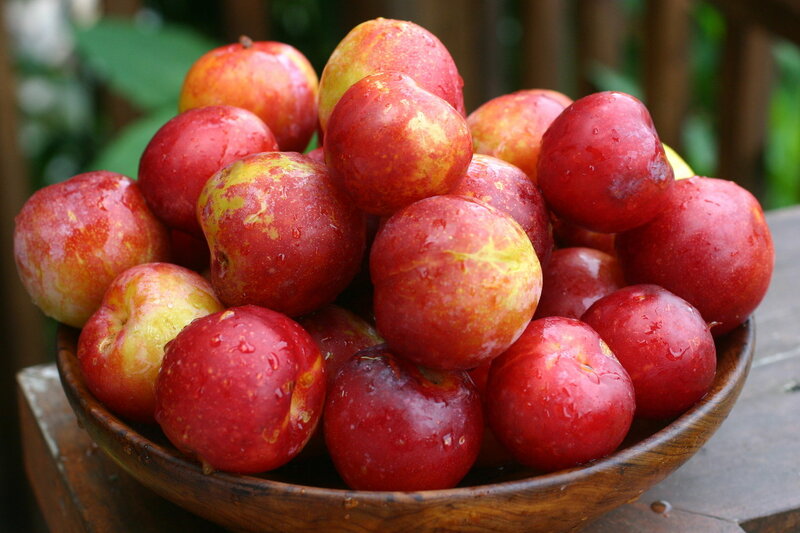 If your trees are producing more than you can eat in one go, try Kay’s peach crumble recipe. Slice eight ripe peaches and arrange carefully into the bottom of a 20cm pie dish. Sprinkle with 1/4 a cup of rapadura sugar or honey, followed by the crumble mix. If using posole or sprouted wheat, grind it in a corn grinder first, then place in a bowl with grated butter and rapadura/honey. Mix thoroughly with fingers and sprinkle over peaches. Place in a moderate oven and bake until golden brown on top. Serve with kefir cream or ordinary cream. *Rapadura sugar is made from the juice extracted from the sugar cane which is then evaporated over a low heat and ground to produce a grainy dark rich sugar. It is free of chemicals. *Sprouted dried wheat grain: Place wheat in a glass sprouting jar. Soak for 12 hours, then drain, rinse and leave covered to sprout for 12 hours. Rinse, drain and cover again. 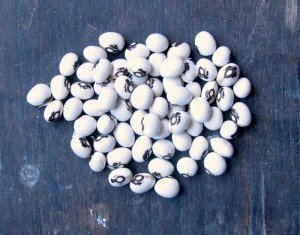 Repeat that process until the small white rootlets first appear. 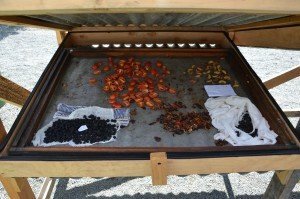 Dry these sprouts in a solar dryer, dehydrator, or very low temperature oven. The grain is then ready to grind as per normal. It has a sweet and nutty taste. 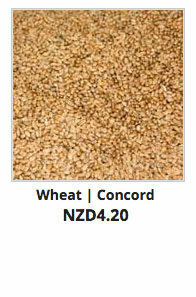 We have organic heritage seeds for wheat and nine other grains available. Return to the pot and cover with water. 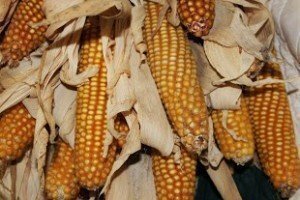 Continue cooking for another hour and repeat the whole de-skinning process until the corn kernels are white, fluffy and skinless. They are now ready to be ground for tortillas, added to soup, or dried. 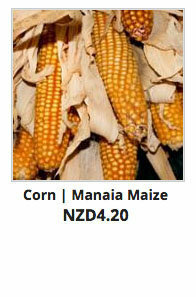 To grow your own corn check out our 17 different organic heritage seed varieties. 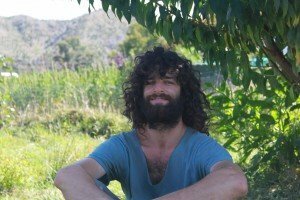 Bob Corker is an experienced permaculture designer, who has specialised in large scale landscaping projects as well developing intentional communities, using appropriate technologies. He manages Thorny Croft farm with his son Taiamai. Both will be tutoring on our upcoming four week animal internship. 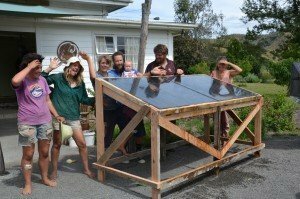 The inspiring vision of the multi-tiered perennial solar production system is somewhat tempered by the reality of a flat grassed paddock and a few weeds (thistles). Our challenge is the transition, which in terms of reaching ‘full production’ will take maybe up to twenty years before the canopy trees are dropping nuts to their full potential. 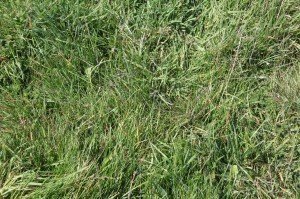 So far the most dramatic response to this has been the change of pasture species and the increased production. 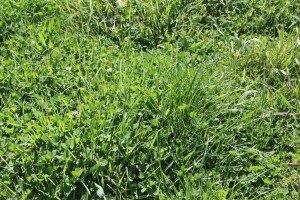 When we first started, after the farm had been mostly set stocked for many years, there were almost no clovers and a predominance of yorkshire fog (which is more tolerant of set stocking), now we are seeing lots of clover, and more rye grass and others. We are also seeing much more root depth. 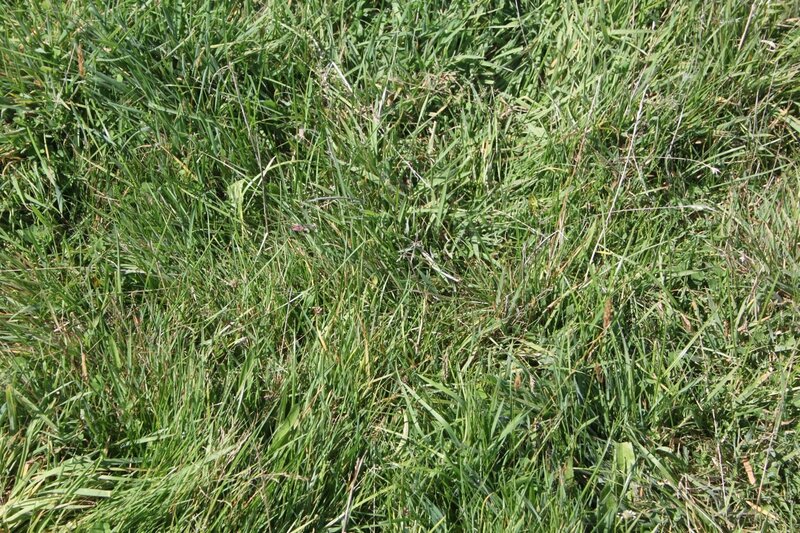 Two years of rotational grazing. 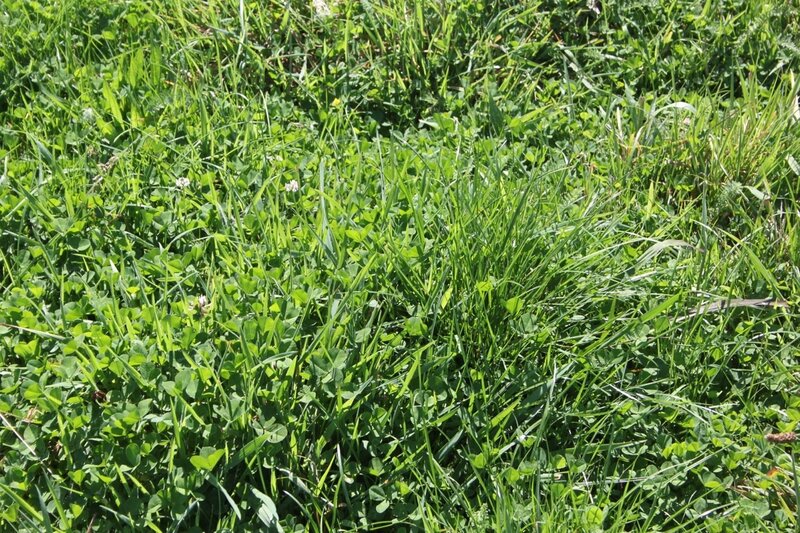 Lots of clover and less ‘fog’. Brix value 12 or over. 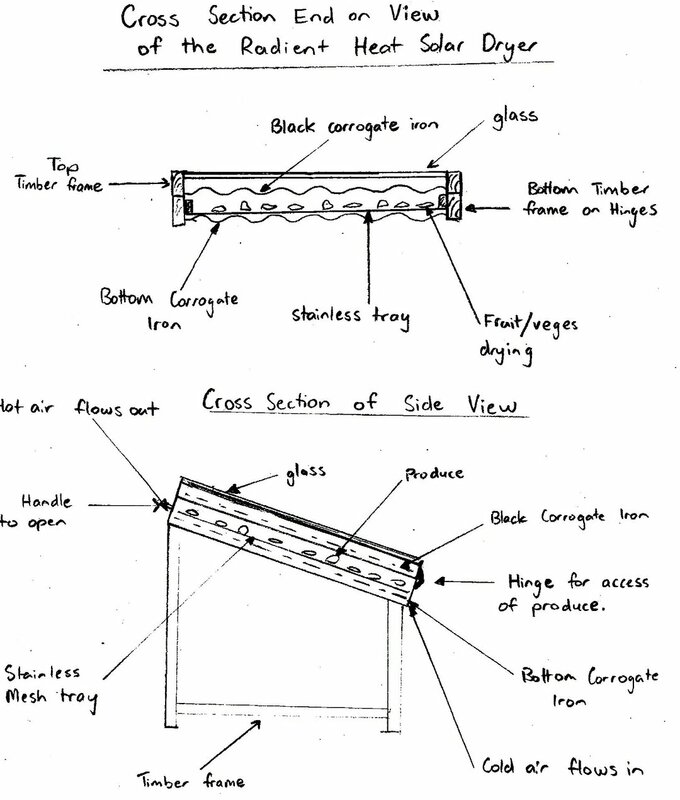 Essentially we’ll fence off broad strips aligned with our grazing patterns, and plant these up with four categories. Once the whole area is planted in perennials, there will be a progressive maturing of the system, early production will come mostly still from pasture and fast growing perennial crops, as time proceeds the production of the mid height and canopy trees will dominate. 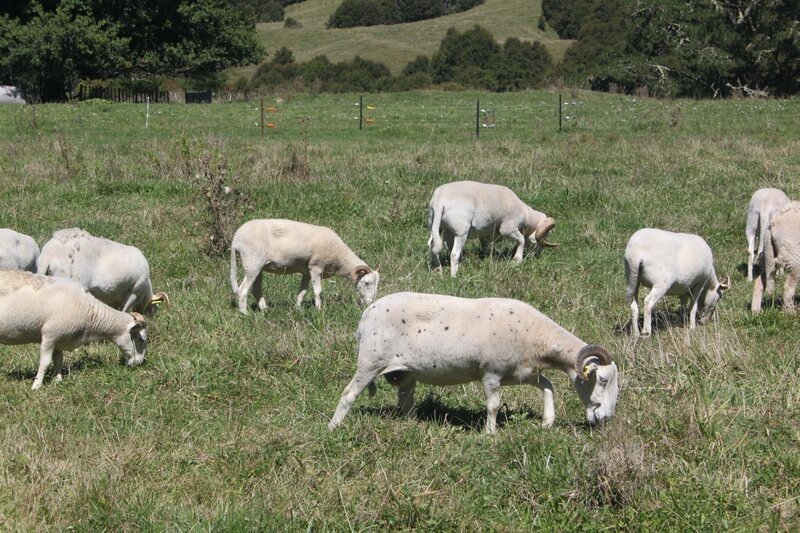 See Taiamai’s blog on the Thorny Croft sheep. …It’s an exciting time for the sheep at Thorny Croft – this is the week we put the rams in with the ewes in order to get our spring lambs. 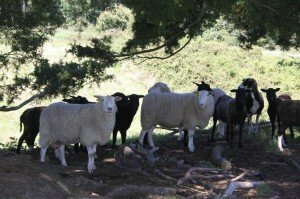 We’ve been building up our stock ever since we arrived in Wairoa, three-years-ago and now have about 80 ewes and a couple of rams from 15 original ewes. Ideally in the future we’d like a flock of around 200. 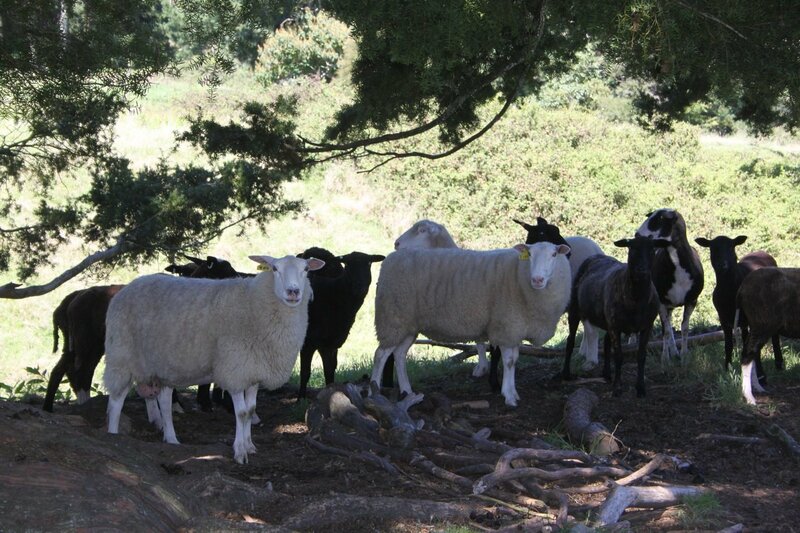 In keeping with the Koanga kaupapa, our sheep are all heritage breeds: Wiltshire Horn and East Freisians. Wiltshire Horn are one of the oldest English breeds, harking back to Roman times. Producing an average of 1.8 healthy lambs a year, they are a hardy, easycare breed, which makes them well suited to organic farming. They are well adapted to the warm weather as their horns help to cool them, while shedding their wool helps prevent fly strike. The East Freisians are a milking sheep from Holland and Germany. 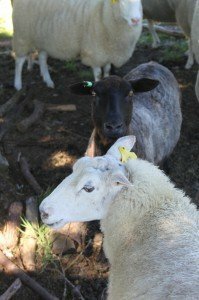 We started out with three lambs which we hand-raised and added a black ram and ewe to the mix because the pure white ones get sunburned on their pink ears, feet and noses. Soon we will have bred this out of them. While less hardy than the Wiltshires, East Freisians are a friendly, breed, who are easily trained with treats. They produce two to four lambs a year. As so many of our sheep have been hand-raised, they are not skittish around humans. This makes them great to work with because you can just walk up and check on them. Keeping them this tame will be one of the challenges of having a larger flock. I love working with them and get a kick out of watching how excited they become when exploring a new paddock, literally jumping and skipping about. The Freisians are quite animated compared to other breeds. In line with organic principles we don’t vaccinate or use commercial drench or chemicals for parasites or flystrike and we don’t dock our sheep’s tails. 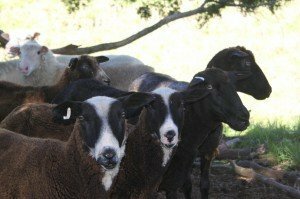 Like in the garden, the emphasis is on getting the right minerals into the sheep food so they are natually hardy enough to withstand parasites and diseases. We give them a stock primer from Environmental Fertilisers which is beneficial for gut function and drench them with a cider vinegar-garlic mix. Eventually we will start rotational grazing the sheep (more fencing needed) which will largely break the worm cycle. As with the vegetables we grow, we are putting a lot of effort into re-mineralising the soil, via organic fertilisers, so the sheep’s grass is nutrient dense. In a few years time our lambs and sheep will be skipping happily around on lush, sustainable pastures and the East Freisans will hopefully be producing delicious cheese. 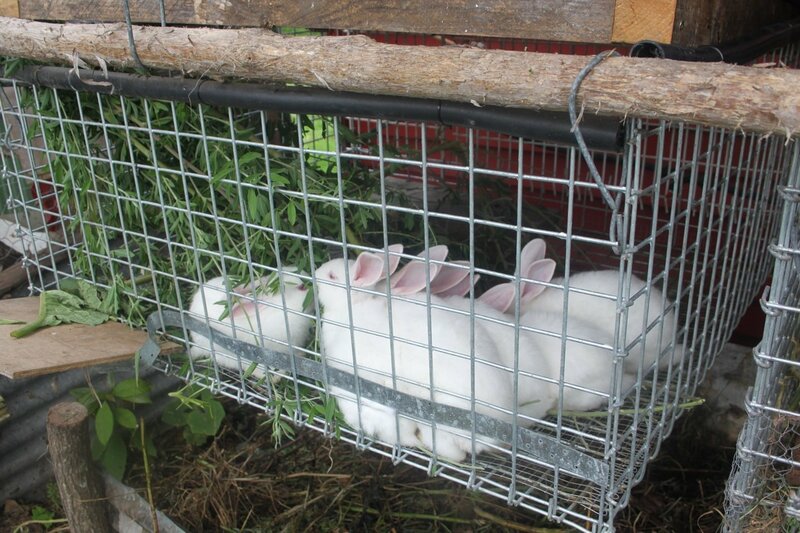 Our baby rabbits are now weaned at six-weeks-old, having fun in their own cage next to mummy. They are doing super well on tagasaste and cut herbs and grass. 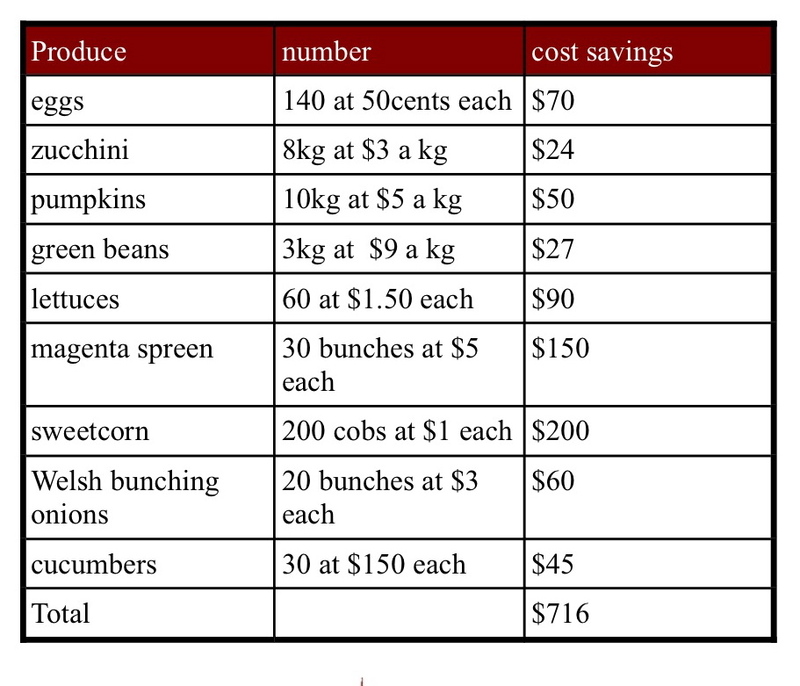 We are not going to buy another buck because all rabbits we buy in have been fed industrial pellets and hay, and do not seem to be as strong and healthy as our rabbits are now. We are on generation two of “no industrial feed, only daily harvested organic tagasaste and herbs”, so we’re keen to use our own buck. 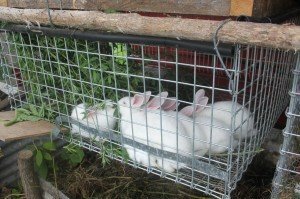 This will bring us back full circle to line breeding with our rabbits, which is how most of the old time animal breeders operated. Mother – son, and father – daughter, but never brother over sister. The chickens have also done super well, we have six hens and all of them are still laying in mid March every day, almost! The guinea pigs have been a learning curve. The holes in our netting were to big and first guinea pig escaped out the bottom and now the cat is putting his paws through quite small grids as well. 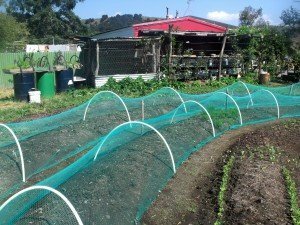 We have come to the conclusion that the wire netting needs to be 20cm hexagonal or square netting (hexagonal is way cheaper and we made two cages out of 1 5m roll) to keep guinea pigs in when young and also to keep cat paws out! We have also found that the guinea pigs can get the grass up just as easily through tiny holes as big ones, so it doesn’t seem to matter. We’re still looking for more females so if you know of any body with spare short haired females please let us know. 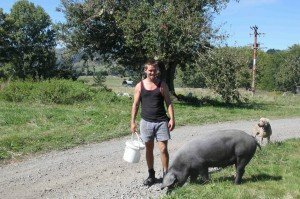 The guinea tractor system seems to be working very well, they are certainly the easiest animals to take care of and feed, and if there is no off site food such as tagasaste available in your urban area then guinea pigs will be the best option for you. 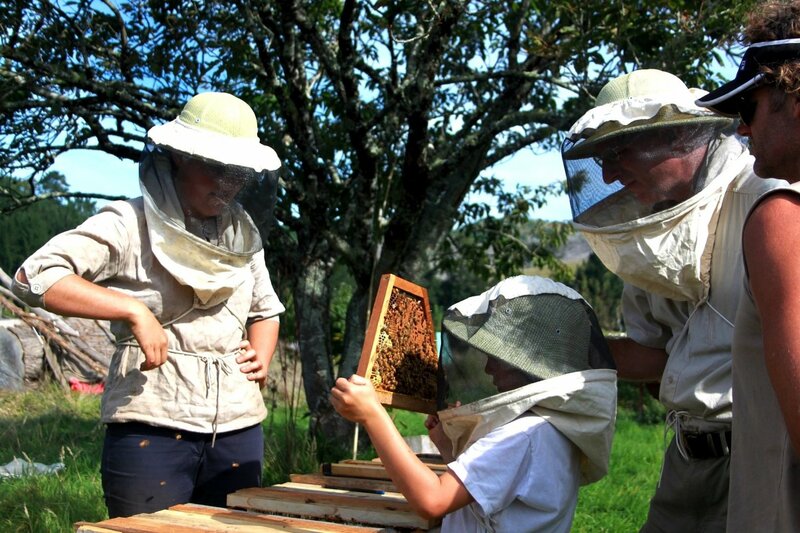 Our bees in good form. They began the season as a weak swarm that we a lot of trouble with but is now almost a large enough hive to over winter well and get off to a good start next spring. 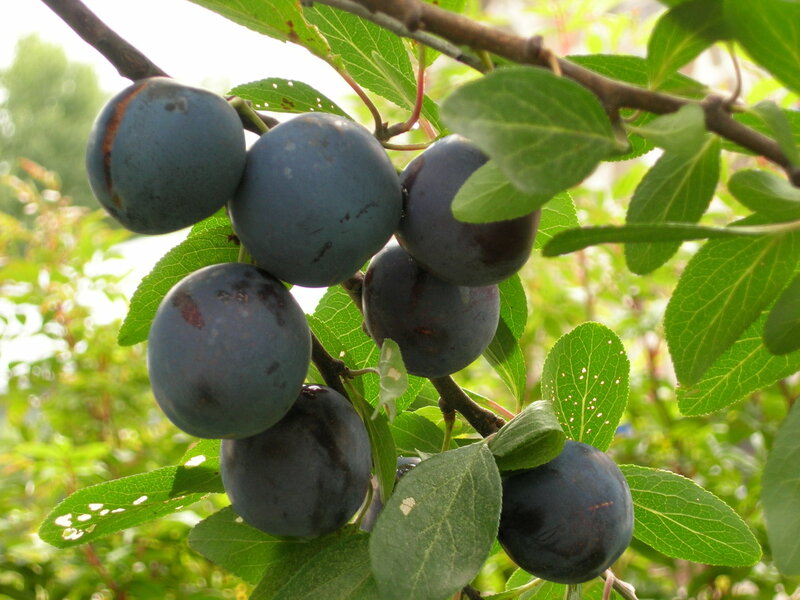 All of the fruit trees are growing steadily, getting lots of vermiliquid and mulch and compost and vermicast from within the system, and we will be putting up espaliering wires around the entire fence area shortly for training. Lots of forest garden support trees and plants to go in next. The guild including the orchard herbal lay we planted under our single lemon tree last month is now away, the beans are climbing, the artichokes visible, the alfalfa is up and the tree lupins away along with the comfrey, sorrel, chicory, milk vetch etc. 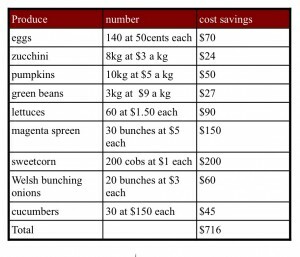 Our biggest issue this month was that we did not get our succession of seedlings in in time to have them ready when our summer crops came out and we now have nothing to harvest in the veggie garden! !This is a major problem if that is our food, and a big learning curve for new gardeners. Getting the replanting of seeds and successions right is a bit of an art, and comes with experience!